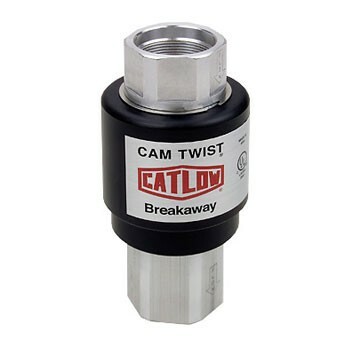 The CTM75 Cam Twist is Catlow's revolutionary magnetic inspectable breakaway. 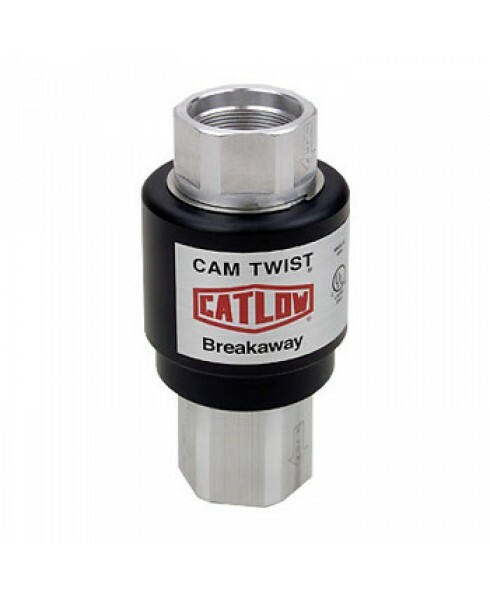 With the ability to separate, inspect and reconnect, you have the assurance that your breakaway will perform when you need it the most, and thus eliminating the need for a "Remove By" date. Separation force designed at 230 lbs or 300 lbs. There is no other breakaway that gives you the option of preventative testing while installed. With a twist CTM75 can be taken apart, and inspected for damage, corrosion, and wear without removing the breakaway from service. After inspection, align the two halves together and let the magnets do the work while pushing the unit back together. It's that easy! 3/4 inch, 1 inch, Vac Assist and Balance. Purchase all your breakaway needs in one breakaway design that has the proven reliability you need. Designed for use with standard fueling applications equipment.